If you are cycle friendly then come and enjoy our cycling experience! 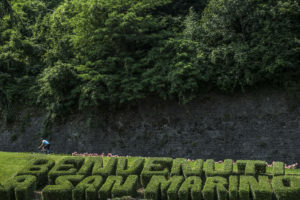 Located in a green area outside the old town of San Marino, the hotel has the perfect position for the loading/unloading of the bicycles. Cyclists that live nearby the Republic, often passes from San Marino for road or mtb itineraries. 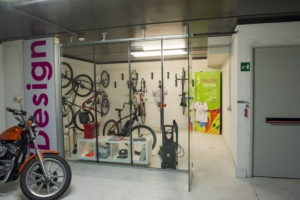 You will find a furnished bike-room, a laudry and a garage under video surveillance 24h/24. It will be a pleasure finding a Jacuzzi waiting for you after your ride, or relaxing on our terrace until sunset. Local wines, beers and a meticulous cusine will fill your evenings. Chatting and remembering the day-ride across Montefeltro up and downhill slopes. Sweden’s Bernt Johansson won the gold in the 1976 Olympic Road Race on Montreal’s Mount Royal. From several years Bernt Johansson (Olympic Medal in 1976) guides his bike-groups across the beautiful Romagna region. 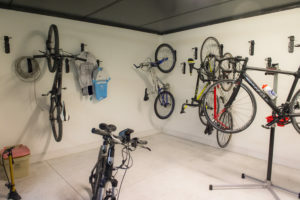 The hooks from the bike-room are suitable for both road and moutainbike. We will be glad to offer you our best service!